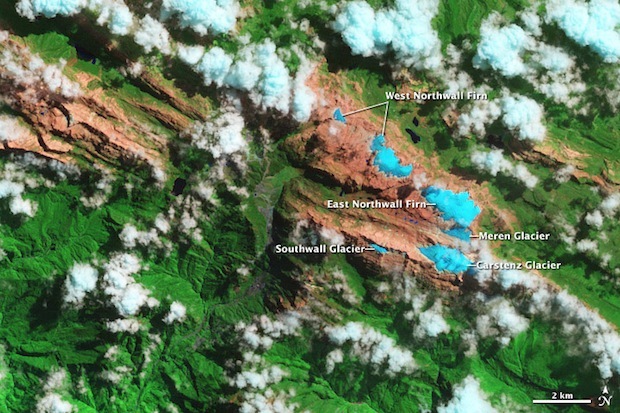 There are hints and legends of a ski resort at 15,700-feet on the Indonesian half of Papua New Guinea in the legendary Maoke Mountains. There is very little corroborating information nor evidence to be found anywhere. I believe that it existed and maybe that it still exists today. This region of Indonesia is very restricted and only accessed through special permits acquired once in the country. Everything on this half of the island is steeped in fantastic mystery. Despite teetering on the edge of reality and myth, this ski resort must have been stunning. When the snows were deep, the lifts were running, and the mystery was a reality, this must have been one of the most magical places ever skied. 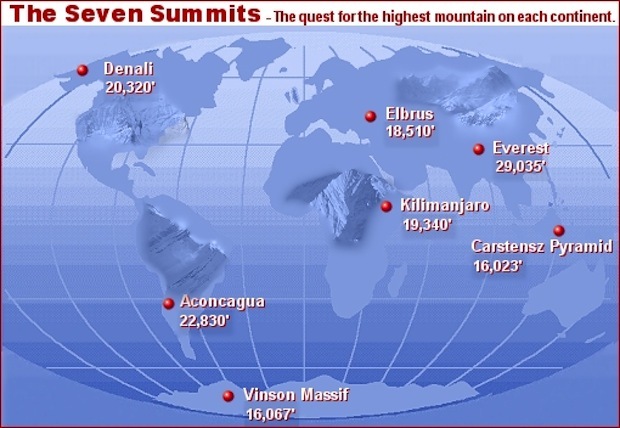 The world’s 2nd highest ski resort exists at -4 Latitude in the Indonesian half of Papua New Guinea. 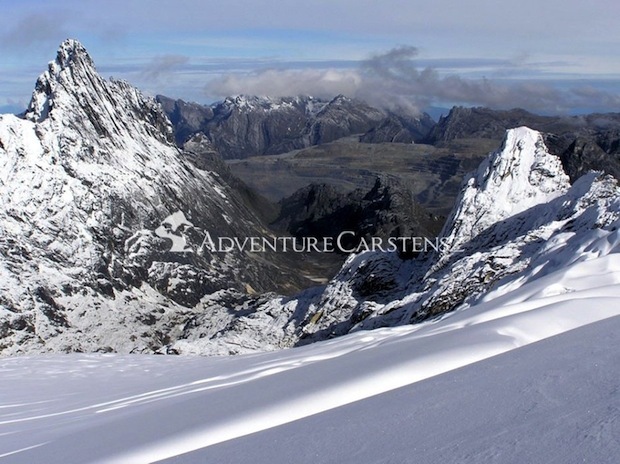 It’s hard to believe that an equatorial nation is known for the best surfing on Earth also has the 2nd highest ski resort on Earth, but it’s a reality I can’t ignore nor completely confirm. 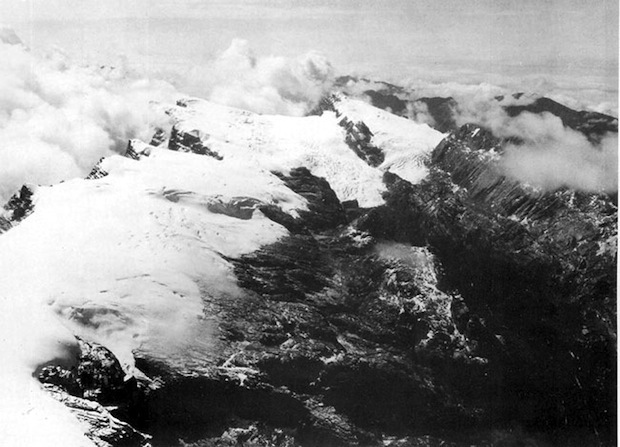 The Maoke Mountains of Indonesia hold a 16,023-foot peak called Puncak Jaya or Carstensz Pyramid. This peak is one of the Seven Summits as it is the highest peak in Oceana (basically Australia and it’s surrounding islands). These peaks are significant with at least 3 glaciers, many peaks over 12,000 feet tall, a tree line of 12,000 feet, and a handful of peaks over 14,500 feet. 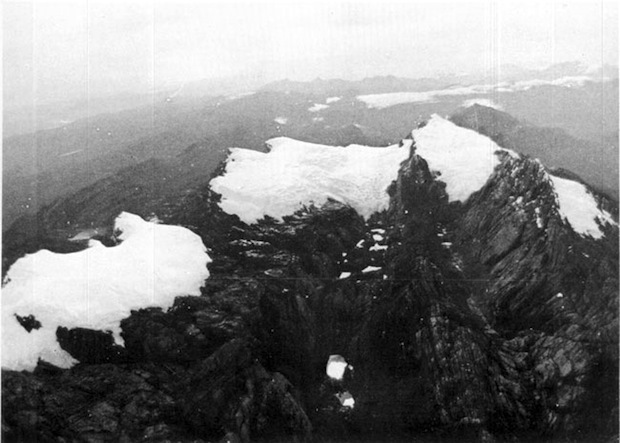 There is reportedly a small ski resort located on the Meren glacier here started by Sir John McCisk in 1979. This whole enterprise seems a truly clandestine affair, but we can’t help indulge as far as we possibly can. 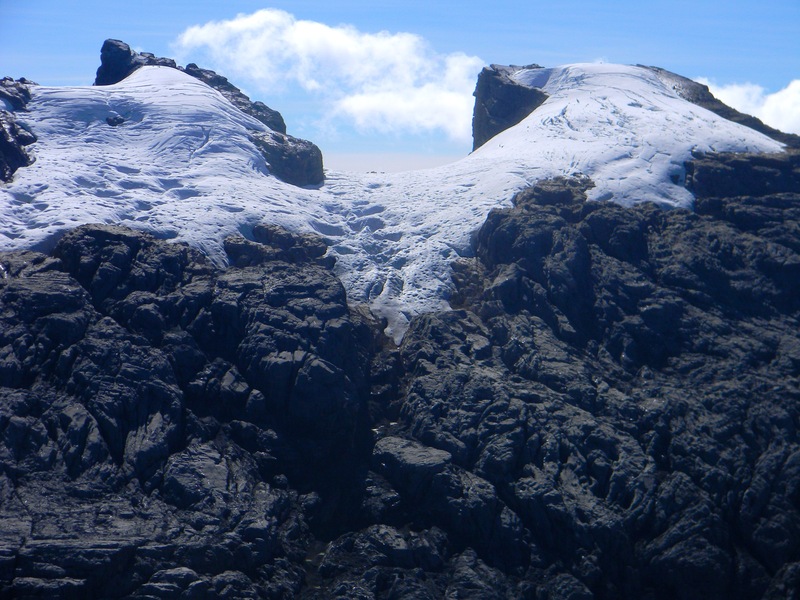 The Maoke Mountain Glaciers are disappearing fast. 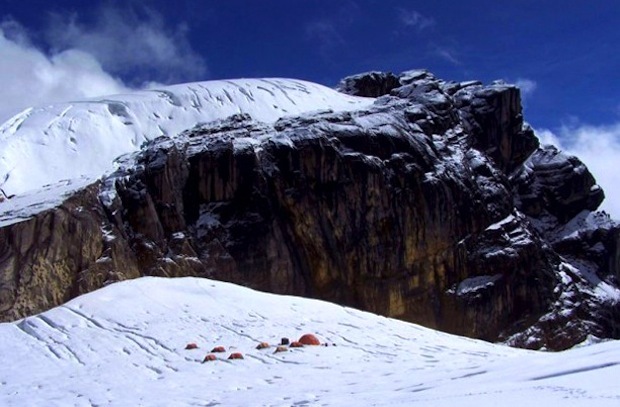 They are the only tropical glaciers in Asia. They’ve undergone a major volume decrease in the past 20 years and they are forecasted to be completely gone in 20 more years. This ski resort in Indonesia must have been a small paradise. Culture, biodiversity, solitude, thin air, and mystery must have run rampant here. Imagining skiing laps on a poma chair in this bizarre place would have difficult to fathom. 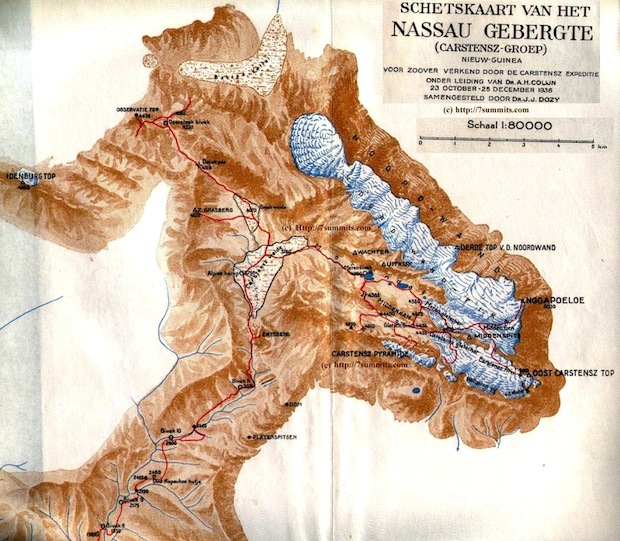 The corroborating evidence is very shaky and hard to find, but if you want to read much more, we did find a couple pages of strange transcript that describe this ski resort in some detail: Maoke Mountain Ski Resort. You tell us. Do you think this ski resort exists? If it were real, I still likely rather just hike and ski. Can you drive to the base? I assume so considering that mine is there. I do believe zhis ski resort existed but I am sure it cannot exist now because the glaciers there are expected to vanish this year (2015). I also do believe I will find some info about the exiszence mythical ski resort. 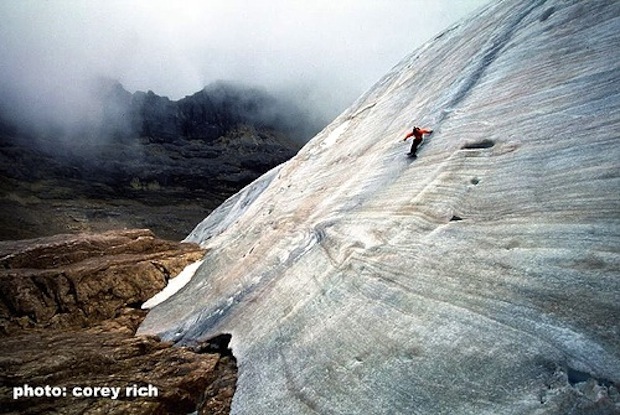 I’m researching the Puncak Jaya ski fields for a possible TV project and I wanted to know if you managed to gain any more information about whether or not the glaciers still existed, or if there was any remnants of the ski resort. Is it possible to still get up there? If you have any more information I’d be really grateful to know what you can find. My email is above and if you send me your phone number I’d be happy to give you a call. I have not got any other information but if you want to call me I will be glad to talk to you. My phone No. is +420 721 146 740 (mobile), +420 595 171 927 (land line). My “mission” is to ski in all coutries in the world (including “exotic” ones) where it us worth to do so but I am sure Indonesia will not be among them. I can hardly believe that the lifts were bult there because who would ski there? How many people could get there? Please let me know more about your TV project. Maybe it was built for the rich people who works in the one of the biggest mining in the world which is close to it. But i do believe it is no longer exist because of the global warming. There are many unknown secret areas in Indonesia , this must be one of it. West Papua not Indonesia, Free West Papua ! Yes unfortunately West Papua has been colonised by Indonesia. Papuans are not Muslim or Asian. 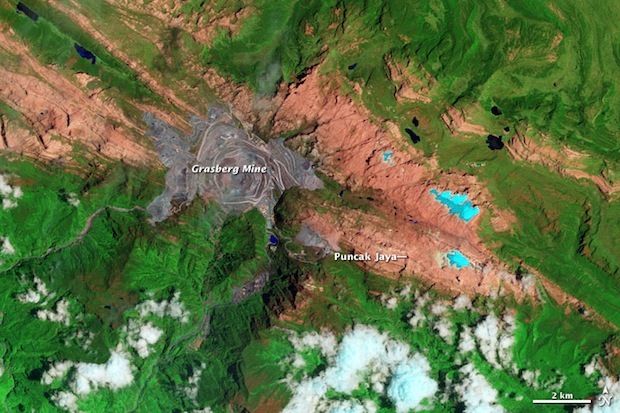 But the greatest injustice has been done by the American company Freeport McMoran and its Grasberg mine. 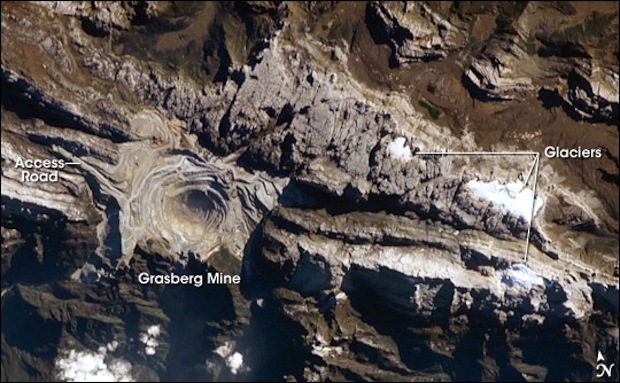 You can see from the satellite images the scale of that mine and how it has disfigured an incredible area. It has made a few corrupt politicians and American businessmen and bankers very rich, but has it has truly impoverished the local people. You know that they used to ski on Mauna Kea on the big island of Hawaii. It wasn’t a resort but I heard that they actually had a service where they would shuttle skiers up the mountain in a jeep that had had its carburetor specifically tuned to operate in what would be close to 14,000 altitude. 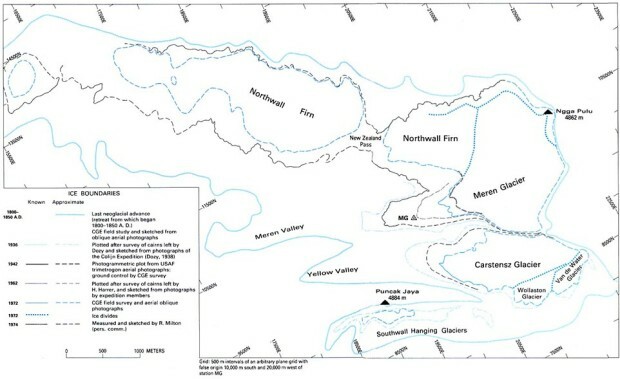 The latitude is 19.82 north. But when the skis and maybe your skin would hit that lava, oche, it would hurt. Yes, I know about skiing on Mauna Kea and am decided to try it. I have not heard about the “shuttle service” but have read that skiers use thir own cars. I think this can be a kind of utmost skiing experience for a Central European guy!!!! Oh yeah, you know it, who know’s maybe it will be some lines we’ll ski someday? Well good luck, I’ve been to Hawaii once but didn’t go to the big island. Remember there’s lava under that snow so be careful & have fun. 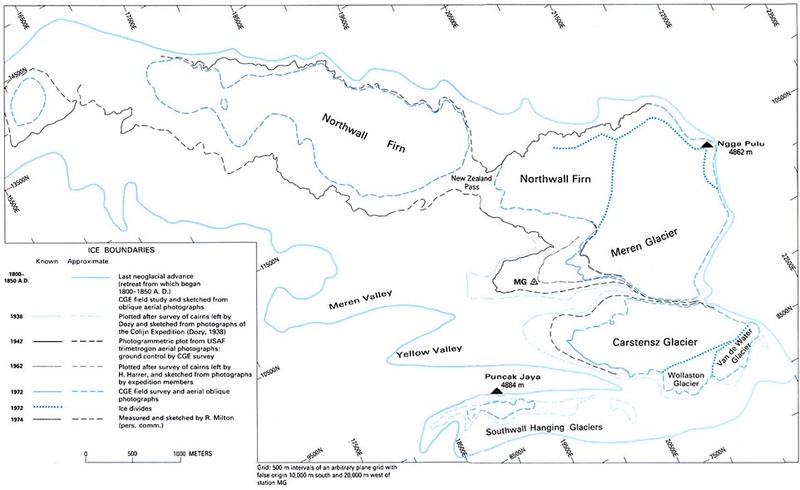 Do you know which period is best to find the snow there? I think it was built for the leisure of the mine workers, especially the executives. Need a very special permit just to enter the area. Because the road access closest to that place owned by freeport. And the locals never know it, because the company rarely share anything with the locals. This “release” by Guinness reduces their credibility because it shows they can believe such a bullsheet. Disagree. The idea that there’s a ski resort lying somewhere in remote Indonesia is a fascinating – real or not. I don’t think Guinness is trying to prove anything, they’re just shedding light on an intriguing mystery (and trying to sell beer). Do you know about Indonesia? maybe some people never been to Indonesia, Indonesia is a small country, and even corrupt states. But Indonesia has a myriad of stories. Many cultures, customs, you just believe about reality. But Indonesia, covering everything. Reality and the supernatural. Tropical climate in Indonesia, the fact that snow is also in Indonesia, it is only in Papua New Guinea. Every mountaineer in Indonesia believe that the soul is gone, which means the area that no one else knew where existence. But if through the region, 70% did not return, and a 30% return, but in poor condition. Physically the missing person was healthy, but mentally damaged, even close to crazy. So, talk about skiing in Indonesia is not impossible existence. 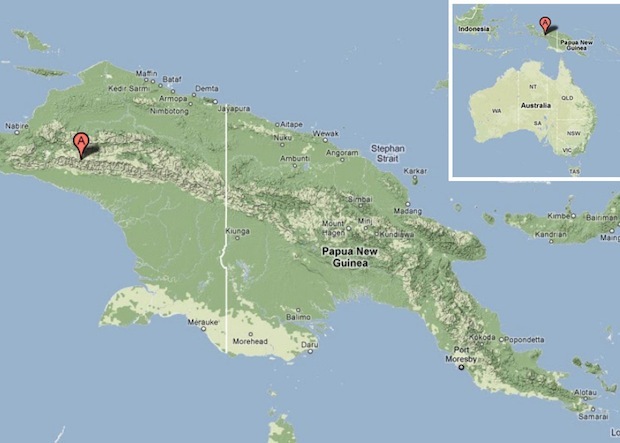 I can not explain clearly about Papua New Guinea, are not you believe in the real thing. Why do not you see for yourself .. !! I believe, if God wills nothing is impossible, including ski areas in Indonesia. Indonesia is a small Country ? Indonesia is a country of 256 Million Peoples, The Total Indonesian area is 7.9 million Km , Indonesia if you put on the Europe map is the sam from London to Moscow. the bigger the city, the cheaper you get.